The incidence of oral cancer has been on a steady rise for quite some time. However, the cause and type of oral cancer has changed significantly along with the patient demographic. For years we thought of the patient who was at risk of oral cancer as being from a lower socioeconomic group, they most likely were a smoker and they had poor nutrition and oral hygiene. Today’s at risk group are younger, well educated and non-smokers. Not only are these two demographic groups different but their oral cancer is different. 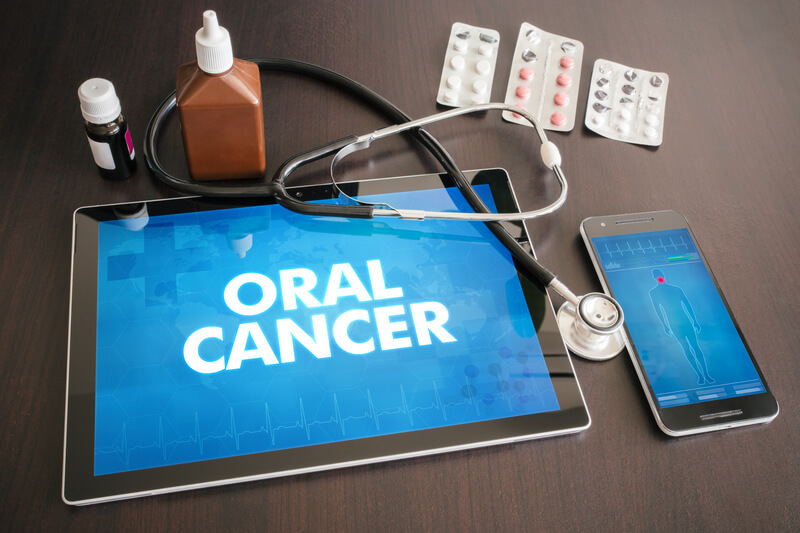 Research uncovered vastly different types of oral cancer. The largest growth group are oral cancers associated with the Human Papilloma Virus (HPV). The positive side of this equation is that HPV related cancers respond extremely well to conventional therapy like chemotherapy and radiation. The survival rates are much better and the treatment less often results in a drastic disfigurement or decrease to quality of life. The two keys that we as a dental community can focus on are early detection and prevention. Early detection is a critical factor in both survival rate and treatment outcomes. Dentists and dental hygienists are in a unique position to assist our patients with early detection. What are your office systems for oral cancer screening? Is this being completed at every hygiene visit or exam, and what are you using for screening. Our eyes and doing a thorough visual exam is the beginning. We have many technologies available today to improve our ability to screen. The last question to ask yourself is are you openly referring patients when you see anything suspicious? This is a hard call as it can feel embarrassing to refer a patient and have the oral surgeon or physician tell them it’s nothing to worry about. I tell my patients at the front end, I am hoping what you hear is “this is nothing to worry about”, but that’s better then if I don’t send you and it was something to worry about. The last step is prevention. Young people have the ability to be vaccinated against HPV. The pediatric medical community is not alone in promoting this vaccine. We should be talking with the parents of our younger patients and encouraging them to have both their sons and daughters vaccinated to prevent this devastating type of oral cancer. Take care of your teeth could prevent HPV-related oral cancer. There are more than 400 million people living with STDs in the world according to an official herpes dating site === HerpesSoulMate.com (If I spell it right). The rate should be cut down. What age should you give your children the vaccine for HPV. Tat is a question to discuss with their physician or pediatrician, but my kids all had the vaccine at around 12.